Classic Cars Talks: Ted Blake's 356 Restorations, Sacramento. 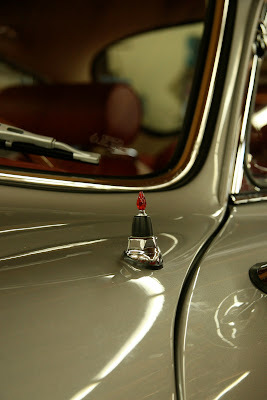 Ted Blake's 356 Restorations, Sacramento. During my recent visit in the United States I've been lucky enough to stay few blocks away from Ted Blake's garage on 21st in Sacramento. I was a bit intimidated by the gorgeous array of cars always parked outside and the spotless look of the garage. I approached them asking if it was possible to take some pictures and found myself embraced by an incredibly warm welcome and endless competence. Ted Blake has been working on the brand for almost sixty years and focuses almost exclusively on 4 cylinder because "after 1965... we think they were not Porsche anymore". Six cylinders are complicated and not fun to tinker with. I was welcomed by Carrera Panamericana veteran Paul Frame who literally dropped what he was doing and spent half an hour of his time going through each and every car and engine available in the garage. He also went to the extent of digging out two sets of photographs from his Panamericana's adventures in which, to my surprise, he was focussing mostly on how local people and kids were welcoming them rather than on racing stories. People like him are what classic car's enthusiasm is all about: passion for daring technology and history and other fellow enthusiasts alike. 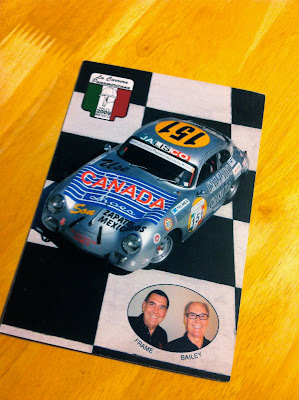 Him and Darrel Bailey compete regularly in the famous race with a 356A that they turned into a replica of the car driven by Salvador Lopez Chavez in 1953. The racer sports a livery of Chavez's notorious shoemaking company Canada based in Gadalajara. How appropriate is that? Paul kindly showed me every corner of the workshop and uncovered all the "guests" describing all the little details and tiny differences between them. In the pictures you can see a couple of SC Coupe' and also a rare and beautiful Super 90 with sunroof. The cars were all in concourse condition, even those that were still being worked on. The guys don't like funny upgrades too much and they seem all the more fascinated in preserving the incredible initial design. The only upgrade I could see in that moment in the shop was the cleverly concealed disc brakes instead of the original drums. Paul also showed me the ultimate treasure of the company: a cabinet stuffed with original switches, badges and all sorts of rare parts. "Ted has been savaging them since the fifties" says Paul, a consistency that sure saved a lot of restoration projects from frightening imperfection. If you have a 356 in needs of attention you might try Ted's garage, but to put it in their own words... "we have 10 years worth of work to deal with" at the moment. If on the other hand, you're a young lad that wants to "go to 356 school" you might be lucky here. Young, talented and hard working mechanics are apparently more rare than old badges these days, and it sure will be a waste of incredible experience when Ted will decide to retire.